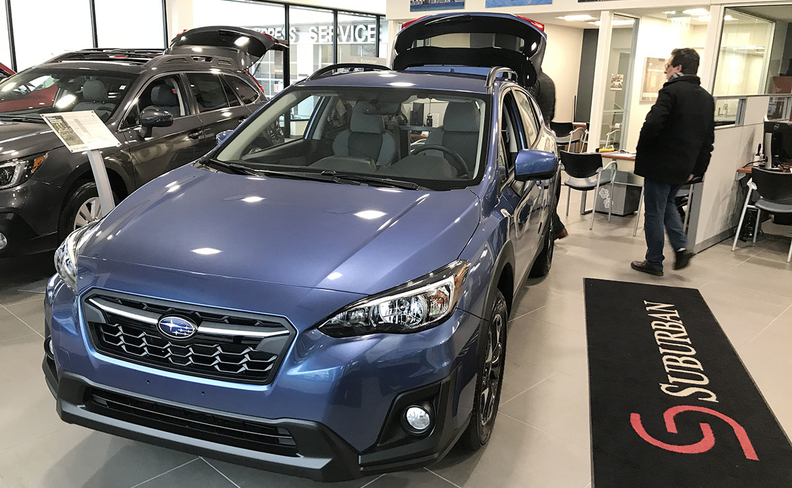 Subaru is the only carmaker to boost U.S. sales every year in the last decade and extended its growth streak to 87 consecutive months through February. Subaru Corp.’s more than seven year-long string of monthly U.S. sales gains may end if the Trump administration increases tariffs on cars and auto parts on national security grounds. Subaru is the only carmaker to boost U.S. sales every year in the last decade and extended its growth streak to 87 consecutive months through February. Subaru's U.S. sales advanced 3.9 percent to 95,153 vehicles during the first two months. In 2018, sales expanded 5 percent to 680,135 vehicles. The Commerce Department delivered a report last month to President Donald Trump on whether imports of cars and parts threaten national security. While the findings haven’t been made public, Commerce Secretary Wilbur Ross can recommend options for the president, who’s called for levies of as much 25 percent.